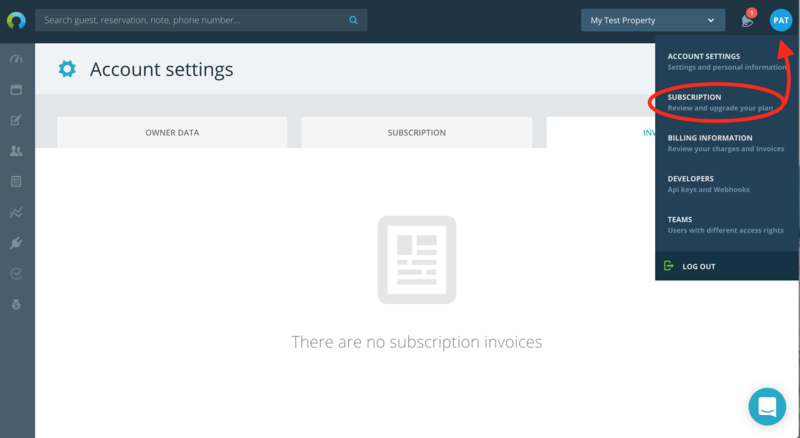 All your Rentlio subscription invoices can be accessed from Subscription screen. Simply click on your initials on top right part, then open Subscription. Invoices section will display all issued invoices and you can either download them as .pdf or print them.